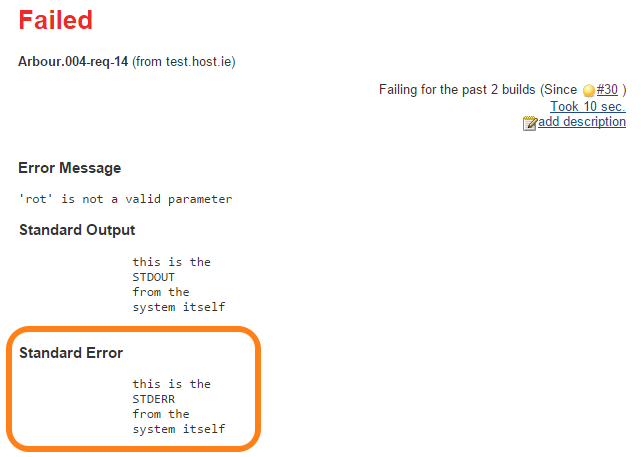 Currently I use Jenkins version 1.6x. 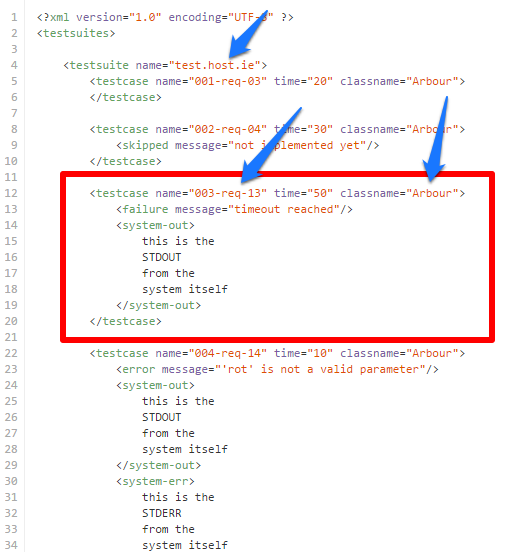 For the most curious here is an example XML that shows the structure. For those of the visual types there will be some treats after the code. Ok now, let's see how these tags translate on the report UI. First we are seeing failed results. 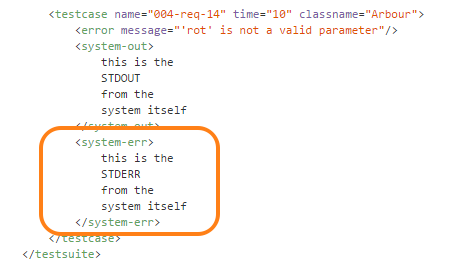 These are either failures or errors. 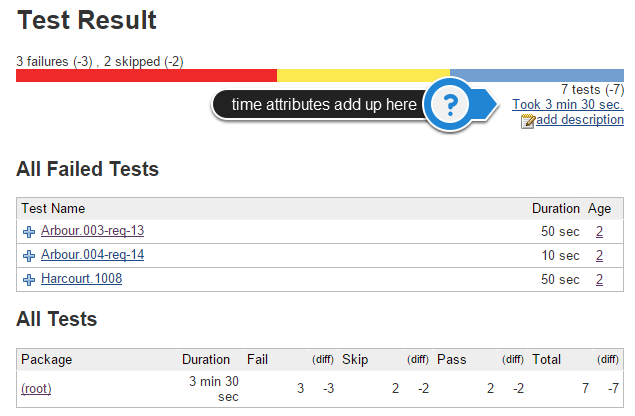 When looking at the test report main page, we'll see a minimal summary. 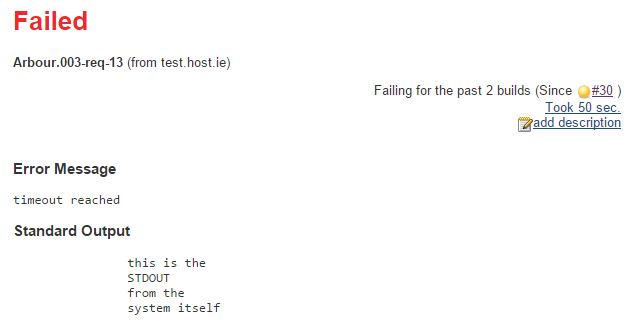 Let's look at a failed test now, where we also supplied and output (e.g. STDOUT). Let's see how this is put together in code. I have also pointed out the components of the heading. 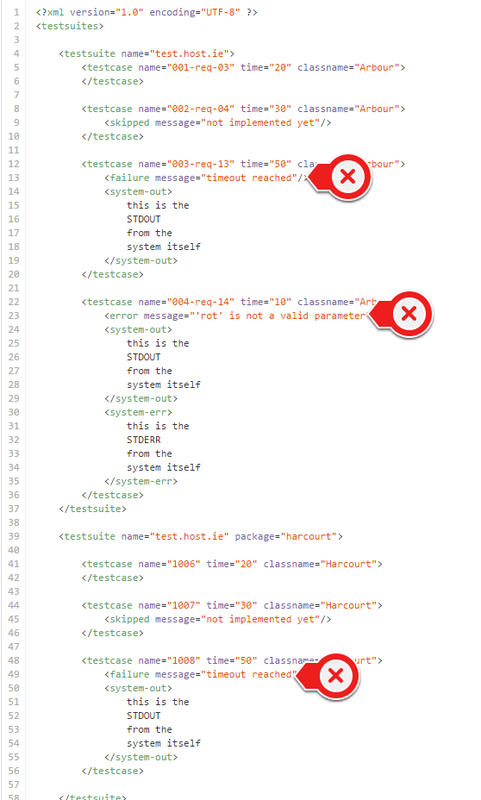 And finally the passed code is a plain entry. Still, you may supply a normal output to it via the element.